Due to the presence of high cheek bones and extra flesh on the cheeks, my normally big eyes appear small in pictures when I smile. 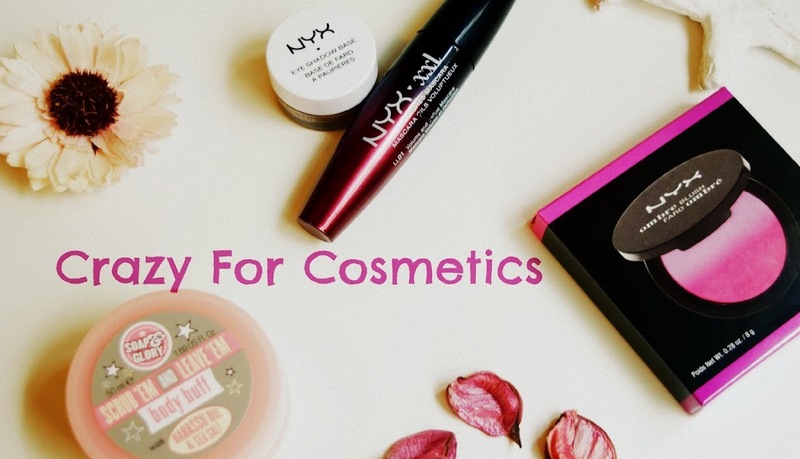 Hence I choose to use products in that can make my eyes appear bigger by either using a light eye shadow shade in the inner tear duct area or using a white eyeliner in the lower lash line. 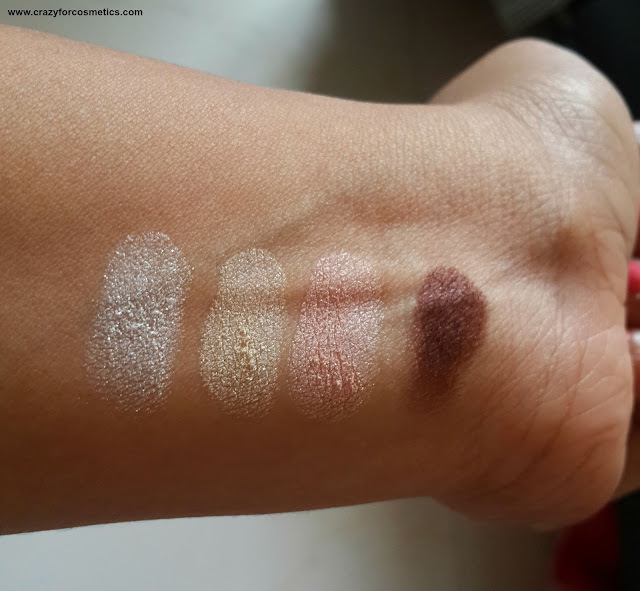 For normal everyday use I cant go in for super dramatic eye makeup, but only opt for neutral shades that would enhance my eyes and at the same time not look overboard. I received the Essence Quattro Eye Shadow Quad in the shade Must Have which is basically an everyday wear neutral shades that would go well with the Indian skin tone. 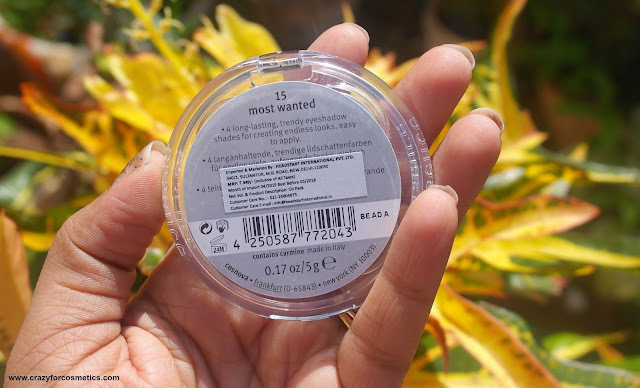 Ingredients for each of the shade is given in detail in the website which is absolutely brilliant :Check it out here . 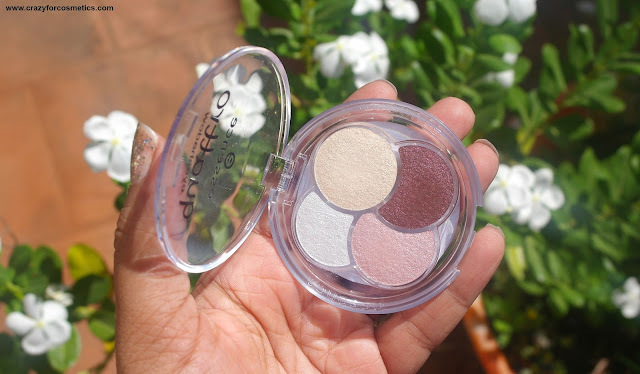 The eye shadow quad comes in a small, circular transparent container which reveals the shades and makes it easy for identification. 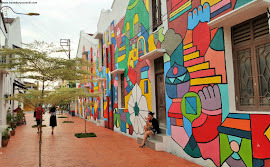 The shade holders are not the usual rectangular or square shapes but it is kind of twisted and good. The whole quad is very compact and is very travel friendly since the lid closes tightly. There is no applicator provided which can be a negative aspect but I prefer to use my Kryolan flat brush for application. The shades in the Essence quad are a combination of neutral shades which includes a highlighting white shade, a light baby pink shade, light beige - cream shade and a chocolate brown shade. The shades are everyday wear shades that can be easily worn for work or for parties. You could wear just a single shade to brighten up your eyes or use the dark shade in the crease area to create well defined eyes. White highlighter shade : This shade's texture is quite chalky , powdery and it has minute shimmers. The fall outs are quite high in this shade. Baby Pink Shade : This shade has shimmer particles and the texture is neither too chalky nor too creamy with quite a lot of fall outs. 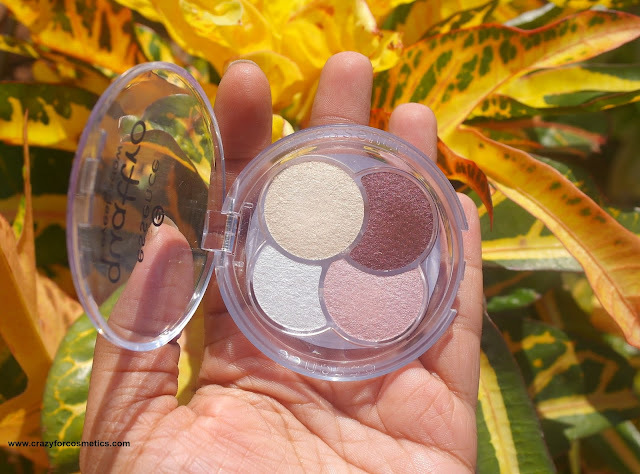 Beige Shade : Quite a creamy one which is very easy to blend and it brightens up the eyes instantaneously. The shade goes well with Indian skin tone and can be used along with the brown shade for a beautiful neutral eye makeup. This shade has no fall outs. Brown Shade : A buttery smooth chocolaty shade that can be easily blended and used in the crease area and has no fall outs. This shade is the best shade in the quad according to the staying power and texture. The shades with fall outs do not stay for a long time but the beige and brown shades stay for about 4 to 5 hours without creasing even when used without a primer. A primer will keep it intact for about 7 hours. 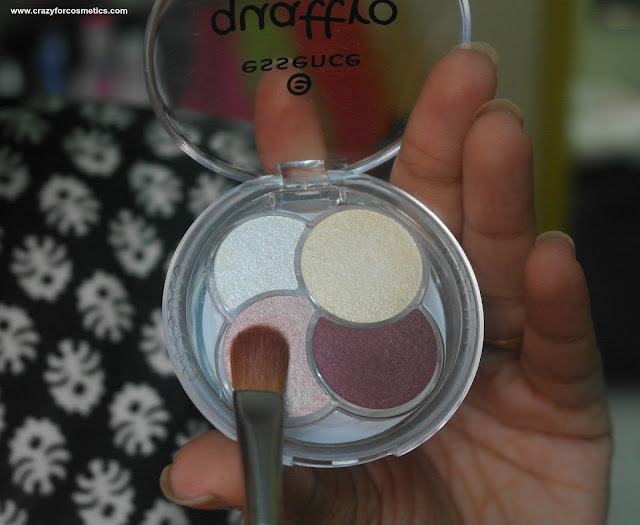 2 : Some shades have creamy formula. 5 : Will last a long time. 6 : Decent staying power of beige & brown shade. 1 : 2 shades have lot of fall outs. 2 : The staying power of the highlighter & baby pink shade is less. 3 : Shimmer ones do not blend well and the texture feels chalky. I feel the formula could be improved a little bit and the fall outs could be reduced. The quad would make a great everyday wear one if the few negatives were corrected. *This is a PR Sample, opinion expressed is honest.